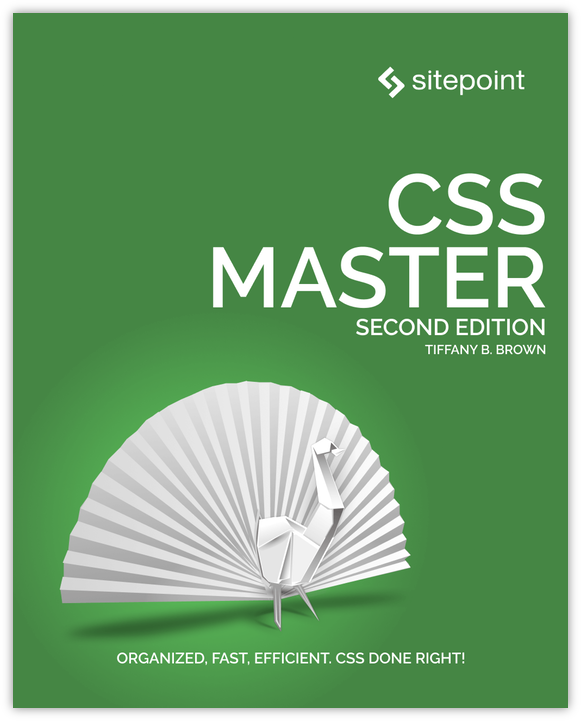 In 2015, I wrote my first solo book on Cascading Style Sheets: CSS Master. The book, aimed towards CSS authors with a bit of experience under their belts, introduced developers to transitions, transforms, multicolumn and flexible box layout, and using CSS with SVG. The CSS landscape has changed quite a bit since then. Grid layout was experimental in 2015. Now it's available in every major browser. Vendors by and large dropped prefixes. Flexible box layout (flexbox) was finalized. Variable fonts became a thing. Custom properties gave us the CSS variables we've long clamored for. In other words, CSS (and browser support) has changed enough since 2015 that it was time for a new edition. And so, in May of 2018, I began revising CSS Master. An expanded layout chapter that now includes floats and how to clear them, along with box alignment and grid. An all new chapter about working with text that introduces writing modes, how to subset fonts for use with @font-face, and how to use variable fonts. An all new chapter about CSS Custom Properties, also known as CSS Variables, and how to use them. Updates to the existing chapters about optimization, debugging, transitions and animation, transforms, and CSS with SVG. Order the e-book directly from SitePoint. Or, if you prefer a print copy, you can order it from Amazon. I hope you get as much out of it as I've put into it.